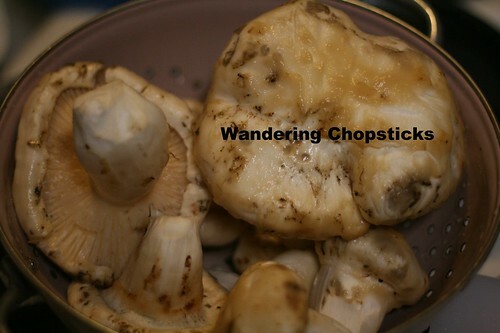 On my way back from my $41.40 roundtrip flight to Portland, my parents also sent along matsutake (Japanese pine mushrooms) my dad had foraged in the forest. 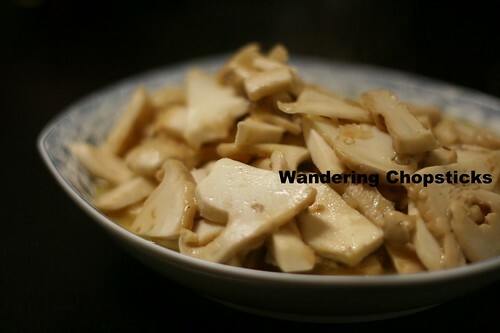 I've mentioned before about how my parents foraged for chanterelles, but matsutakes were unfamiliar to my dad back then. Until now, when someone showed him how to identify matsutakes. 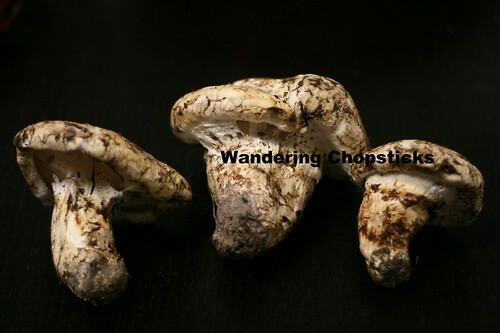 Matsutakes, also called Japanese pine mushrooms, are aptly named. They're found in the duff below pine trees and take on the aroma of the wood. According to Wikipedia, they're very prized in Japan, where the pine trees have been infected and supplies have dwindled. 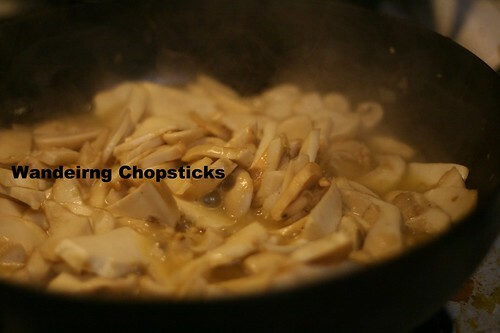 Consequently, matsutakes can command up to $2,000 per kilogram. 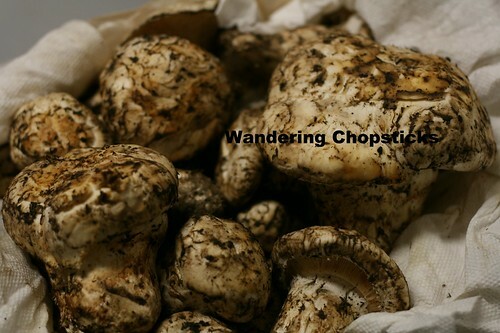 Imported matsutakes, mainly from North America, run about $90 per kilogram. These are very prized mushrooms indeed. 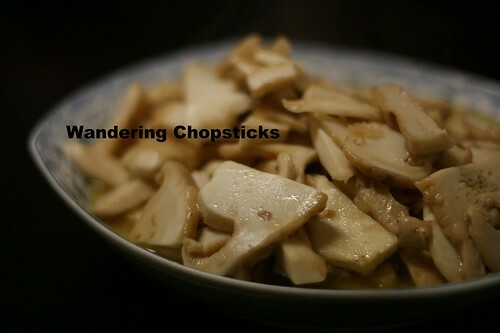 These mushrooms are quite firm with a pine woodsy aroma. 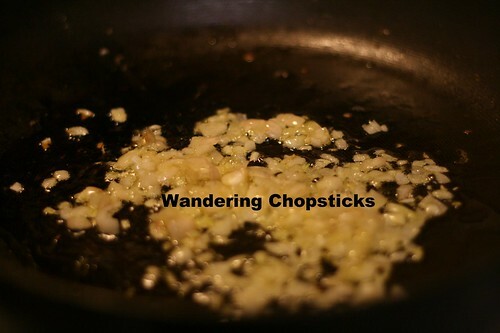 I simply sauteed them with garlic and a few dashes of soy sauce or fish sauce, although you can certainly add them to dishes as well. This isn't so much a recipe as a lesson in how to prepare matsutakes, in case you ever come across any. 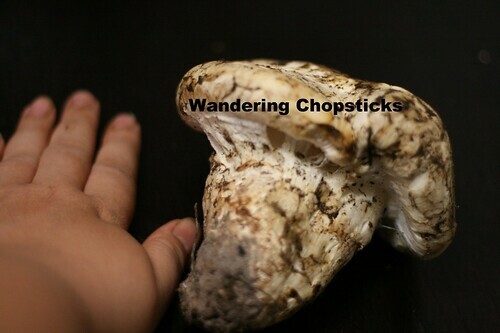 Unless you know how to properly identify mushrooms in the wild, please purchase them from a reputable seller or market. Matsutake mushrooms can be quite large. Hmm. It's hard to tell by size. Here's my hand for comparison. 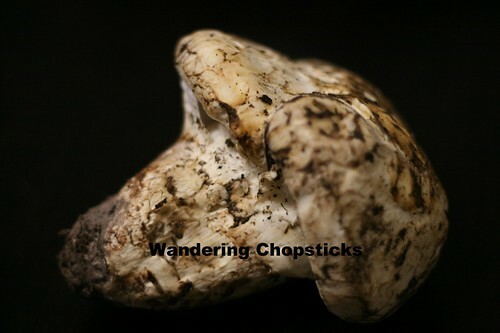 This matsutake was roughly 6 inches tall. Some of the mushrooms my dad found were literally the size of our heads. I even had my second-youngest uncle hold it up to his head to take pictures for comparison. As you can tell, they're pretty dirty. So using a serrated knife under running water, scrape off the dirt and trim the bottoms. 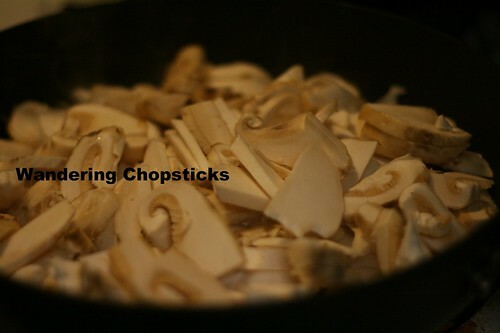 Slice into about 2-inch-sized pieces. Then mince about 4 cloves of garlic. In a large saute pan on medium-high heat, drizzle a bit of olive oil and add the garlic. Add a few dashes of soy sauce. 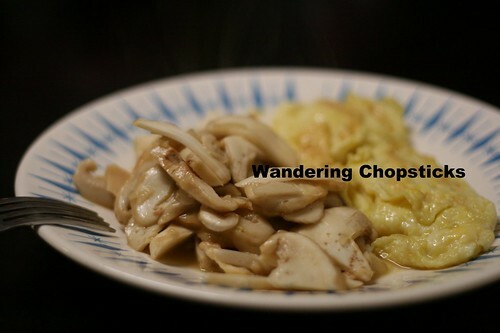 Not much, just enough to enhance the flavor of the mushrooms. When the matsutakes have just started to wilt, they're done. I served mine with my Scrambled Egg Omelet. 1 year ago today, Gyenari Korean BBQ & Lounge - Culver City. 2 years ago today, bamboo shoots. 3 years ago today, Miga Korean BBQ Restaurant - Rowland Heights.